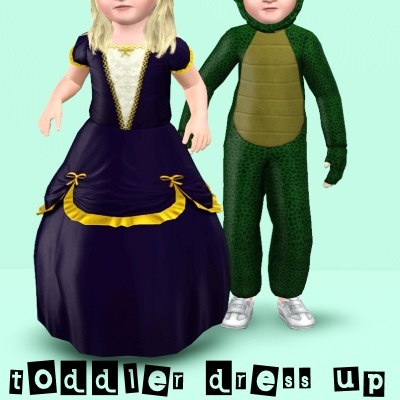 Mod The Sims - Toddler Dress Up -- Two Generations Outfit Conversions! 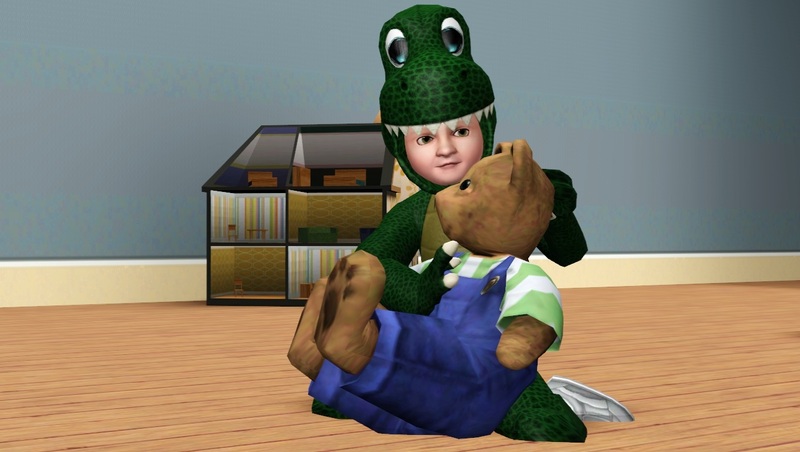 Base Game Compatible! 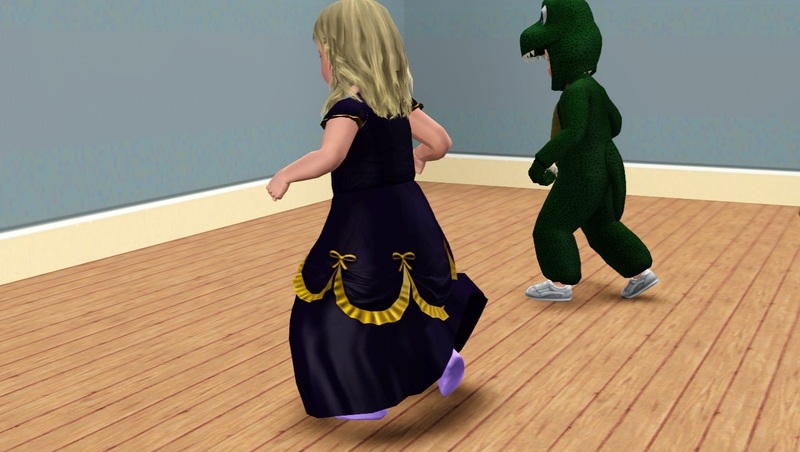 Both outfits are fully animated and work with a crawling or walking toddler. Both have some issues that are related to bone assignments. 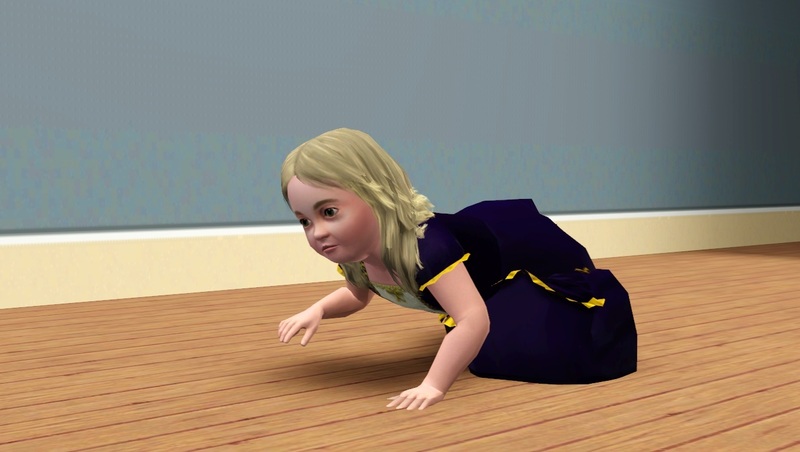 The dress will substantially sink under the floor if your toddler crawls, and your toddler's arms will go through the dress while they are sitting on the floor. 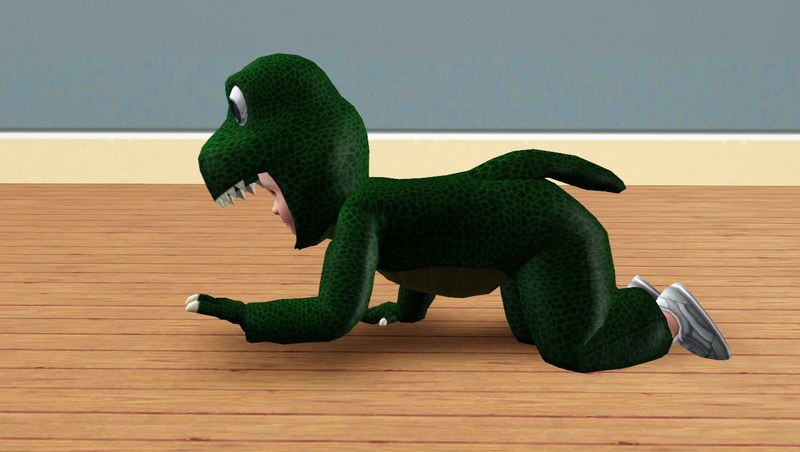 The dino tail and knees will also sink into the floor if your toddler sits to play with a toy. 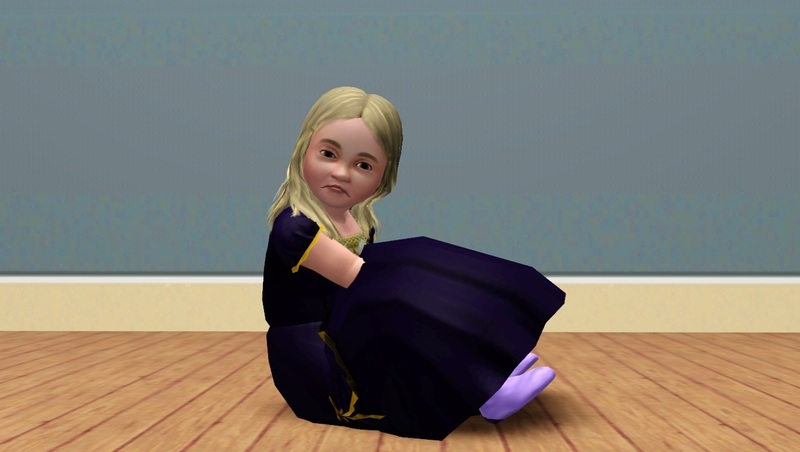 I also noticed while testing the dress that the toddler's index fingers are slightly warped and that the ankles leave a bit of a hole in the dress if you are looking at the toddler from behind. I wasn't entirely sure if moving body parts around to compensate was a great idea, but if I find a way to resolve the issues, I'll reupload. 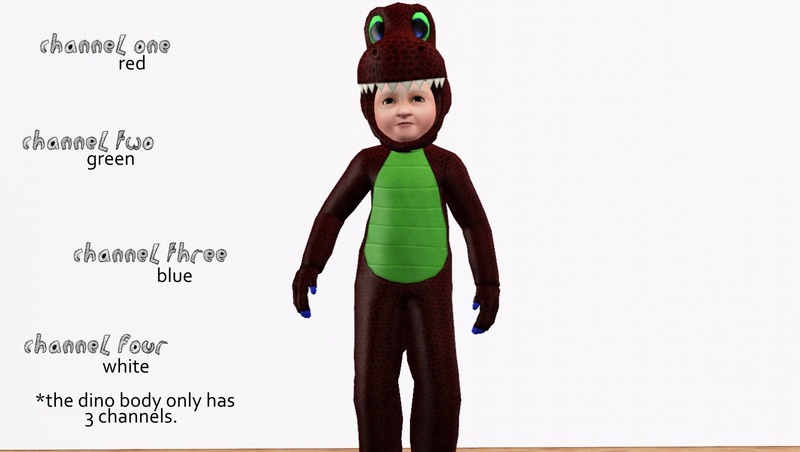 The Dino Outfit is found in everyday, sleepwear, and outerwear. 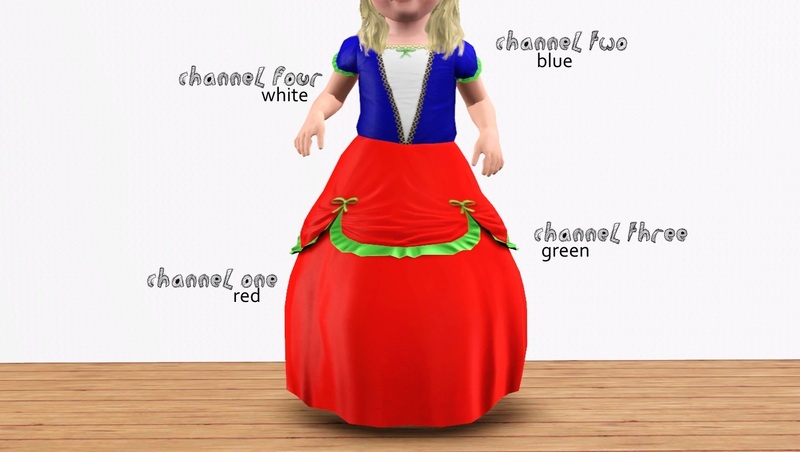 The Princess Gown is found in everyday and formal. 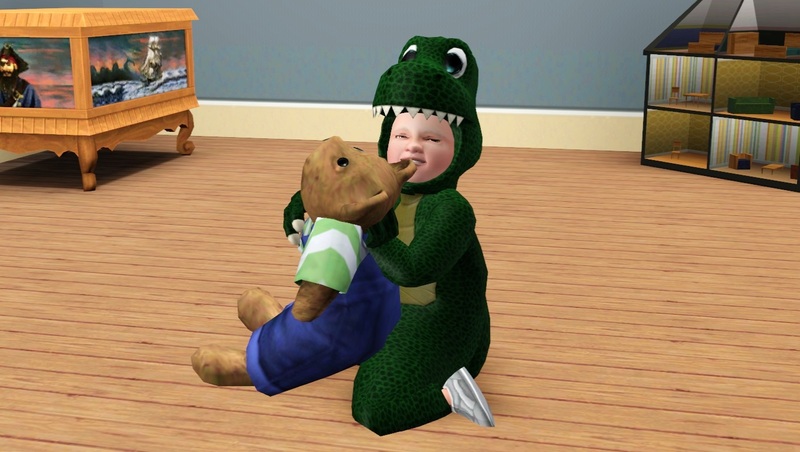 Both are valid for random Sims. 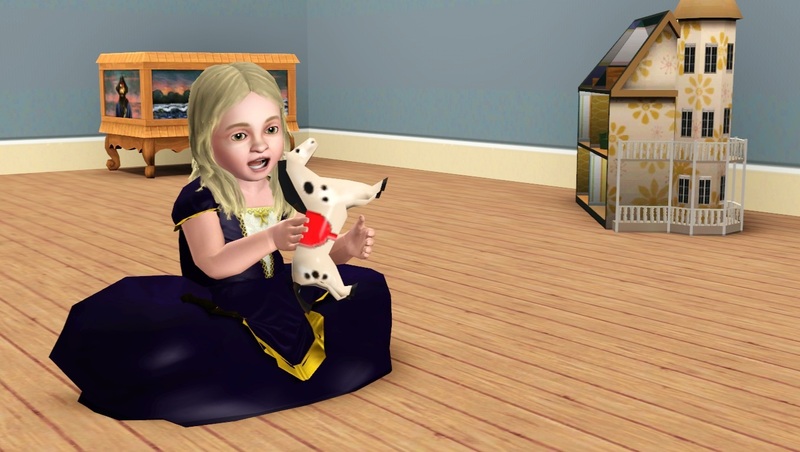 Many thanks are due to CMarNYC, for the wonderful Mesh Toolkit that makes work like this possible, and as always, everyone who takes time to look and support. Thank you!